©2017 Neil DeGrasse Tyson (P)2017 Blackstone Audio, Inc. This is no way for the people in a hurry. It's for those who has the moment to imagine the unimaginable within and beyond the cosmic world. I loved the book. It demanded focus and concentration. But Neil, as the great orator he is, was able to create a sense of wonder, fantasy and the curiosity to know more. I loved the way he explained the periodic table and the planets in the solar system. I wish I had this book in school. This is a book for the young enthusiast, not too young professionals who still dreams, and even for the old who has seen too much of this world and still wants to know more. Book tells us all the primary aspects of astrophysics and related fields of study. So that you can appear smart. I loved it. Must listen if you are a curious being. Dr. Tyson's own voice is like frosting on a cake. if you feel insignificant about yourself after listening to this... you should consider going to a doctor and getting yourself checked. Neil's work on Astrophysics is so amazingly simple to understand even for a beginner like me. I have read this book twice consecutively because Neil has narrated it with so much love and conviction. It shows his beliefs and wants us to see the universe through his melodious voice. I love this book tremendously and would suggest all the star gazers and the cosmos lovers out there to read this book for the love of it. This is a must have audible on every one's library.. Thank you Neil for such an amazing book. I believe everybody should read this book at least once. This book enlightens your mind. It’s a must read for anybody who wants to understand their place in the universe. Just amazing. Would you listen to Astrophysics for People in a Hurry again? Why? YES!! I learned so much the first go around, but even then I had to have him repeat things a few times for me to fully grasp some of the concepts. So I would most definitely listen to it again, because I believe their would be something new to takeaway each time, whether it be knowledge or perspective. What other book might you compare Astrophysics for People in a Hurry to and why? Cosmos, by Carl Sagan. 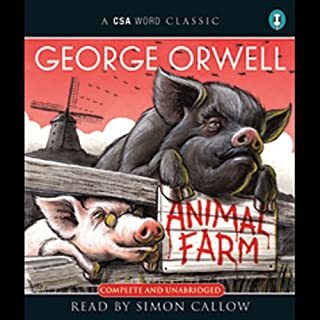 The audiobook is excellently narrated by LeVar Burton, and I find it to be just as "down to earth" as this one is. Little to no math, but explaining detailed concepts in a way we, those bad at math, can understand. Probably the scene with the whipped cream in the coffee shop. Don't argue with Neil deGrasse Tyson about physics, he will win. No, I had to take it in bits and pieces, and feel that I enjoyed it more that way. Some of the things said challenged my world/universe view a bit, and I found it helpful to just have time to ponder and be wowed by the universe. I would highly recommend others to read/listen to this, especially if you are curious about Astrophysics, but are intimidated by the math. Neil deGrasse Tyson has a way of explaining difficult concepts in a manner that is easier to understand than others I have found. This book has given me me a great platform of knowledge to build upon, and I learned an incredible amount. It even helped me have the confidence needed to answer a question I was asked shortly after finishing. I couldn't help but holler, "I know this! I just learned it from Neil deGrasse Tyson!" I was expecting science, I got it. I was expecting meta science, I got it. I was expecting wit, I got it. I was expecting humor, I got plenty of it. Neil deGrasse Tyson delivered on all fronts, satiated my hunger for it all. Astrophysics and science in general are not for everyone but it should be! This book paves the way to reset our ego and places us in a framework that we are participants in this ever expanding universe.... a dust particle within a pale blue dust particle. Thank you Neil. 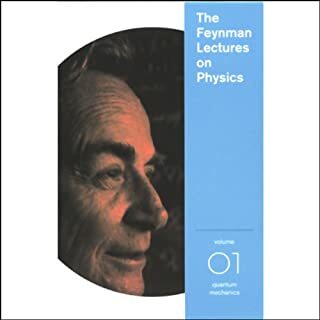 I was hoping for an entertaining, lay person's overview of quantum theory, the Standard Model, string theory, etc. This book doesn't even touch on astrophysics. 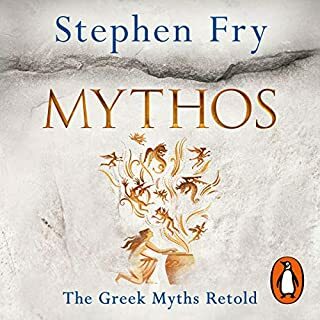 There is a little discussion of dark matter and dark energy, but this book is more about the history of astronomy, how the planets were named, the relative prevalence of elements in the universe, how aliens might discover our radio transmissions, and other non-physics stuff. From The Department Of Exotic Happenings...! Yes! We are all stardust! Only the truly knowledgeable might not like "Astrophysics for People in a Hurry." I'm sure they're into much more in-depth works. But for those of us who dream up into the sky, it's a pure delight. Heck, even the knowledgeable might like it as Neil deGrasse Tyson is the best narrator out there, one of the best writers there is. Period. Filled with wonderful ideas, galaxies devouring dwarf galaxies (ooh, bad karma! ), massive radio telescopes, a fun run through the periodic table of elements, comets, a study of time, so much is packed into just over 3 1/2 hours. Yes, you do come out wanting more, more info, more ideas. More deGrasse Tyson! Only he can make the strange ominous on one hand, fantastically enthralling on the other. Only he can make comparisons that are laugh out loud funny on the one hand, complete and utter poetry on the other. Worth the price, worth the woefully short time, you'll be engaged and smiling the whole way through all these well-written essays that'll have you looking up at the sky again, fascinated, laughing in your heart and soul. Maybe you'll lose sight of the vast, vast, oh so vast picture, but you'll be delighted by the many small and provocative wonders you're left with. I was expecting something more... It's basically a shortened version of what you can hear in Tyson's podcast. I was expect some extra details. Always watch Neil deGrasse Tyson when he is a guest on a late night talk show. The 10 minute segments always seem so easy to understand. This book, though, is way past my scientific knowledge and there is not enough &amp;quot;simplification&amp;quot; in his explanations. 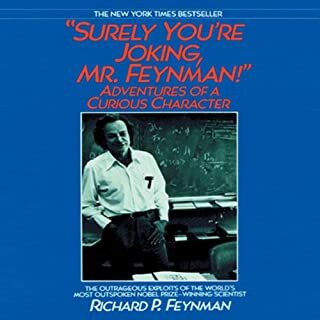 Many parts are still very interesting, but this is one book where having some science in your background will be very helpful. Entertaining, but not very educational. This was enjoyable, but not educational. 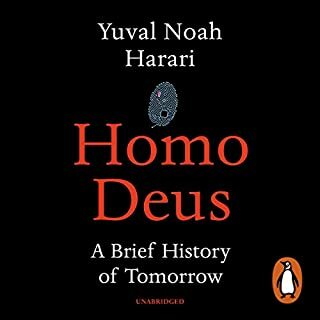 If you want to hear some mind expanding facts about our universe and the history of our exploration of the universe this book is for you. 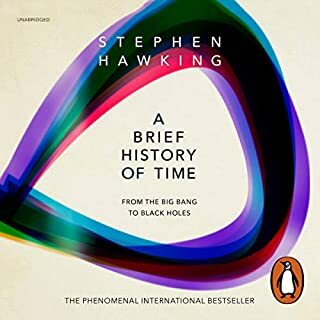 If you were hoping to learn HOW these cosmic objects and universal forces interact to define the world around us I'd suggest you look towards Steven Hawking's books. Hear it In Dr. Tyson's own rich & resonant voice! Would you consider the audio edition of Astrophysics for People in a Hurry to be better than the print version? I do not own the print version. 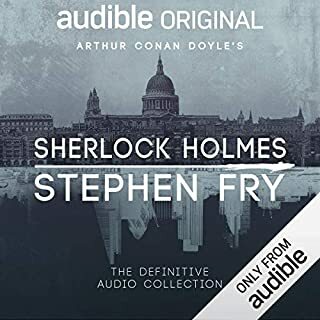 I bought the audiobook specifically to hear him reading it. I like to listen to his lectures on YouTube and this is like having a whole book full of lectures at once! The more I listen the more I learn and after repeated listenings I am beginning to feel like I know what he is talking about. It is not simple enough for people who have absolutely no familiarity with the subject, but if you have heard some of his talks before or seen his version of Cosmos then you will know enough to follow along. He's a born teacher whose enthusiasm for each topic is infectious. He brings real personality to his public speaking, and makes what was could be a dry subject very engaging and even funny. This one is AN ABSOLUTE MUST for NdGT fans, and will make new fans out of people who don't know him already. A great gift for anyone of any age with an inquisitive mind! It depends on their knowledge of the topic already. NDT discusses a large amount of material without defining words or giving details to help someone understand that doesn't have a good knowledge. What could Neil deGrasse Tyson have done to make this a more enjoyable book for you? If he would have just given more details about everything, I would have enjoyed it more. He glosses over important theories I had never known. I enjoyed listening and he does talk about things I remember from high school, but my knowledge was just not to the point of understanding everything. I used to think a lot about Dr. Tyson... but after the last chapter this book got old. He basically called anyone who hasn't dedicated their life to science "inconsiderate". That's my take. In addition, the book seems to cover more of what we don't know, versus what we know. And how much we assume to know that there isn't any proof of. I have enjoyed so many other books on the topic, and it's nice to dwell upon the infinite, but find another book for that. Fascinating, but as I said in the title, just up there, a bit short. I mean, I know its for people in a hurry, but mate. I'm not in THAT much of a hurry. An informative and entertaining account of modern astro physics. This book is well written, and well read. My only complaint is that the book ended. Thank-you Dr DeGrasse Tyson! Not a bad book at all, but it's very much a cursory glance over the basics of the subject. Neil's narration is fantastic though. 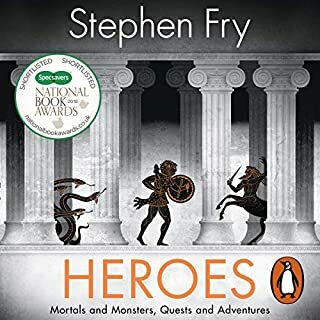 The book is very interesting and Neil reading it it's just fantastic. I highly recommend this book. Good listen, but didn't cover too much over the standard model of the universe. Would have liked more differing / opposing ideas to dark matter, expansion theory for example and any problems we are encountering with this present almost fixed ideology. My first Audible. Chilling by the pool, making a change from MOOCs. Well written, well read, mostly very enjoyable, interesting, and easy to grasp. The faults are due to my own bias, not liking quips, or analogous references to US items I don't know so can't visualise. Trivial compared with the depth of Science communicated in this excellent summary. 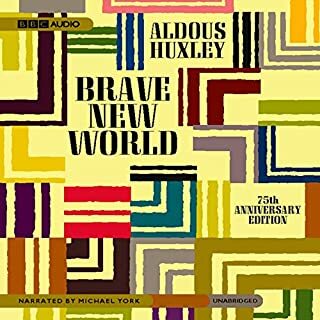 well worth a listen to if as the title suggest you're in a hurry or need something to wonder about. 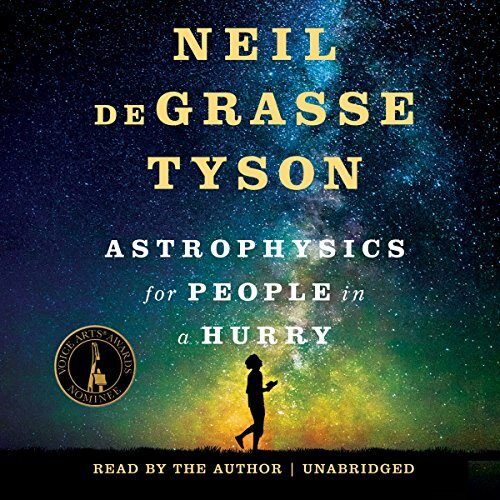 Where does Astrophysics for People in a Hurry rank among all the audiobooks you’ve listened to so far? 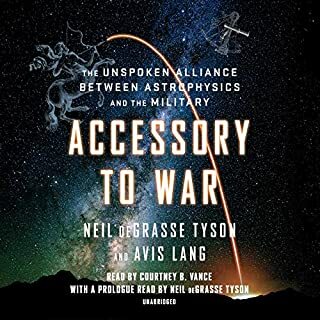 This is by far, the best audiobook I have listened to, helped in no small part by the fact that Neil deGrasse Tyson narrates it. Neil's charming, entertaining, passionate and witty delivery makes the material accessible to everyone and you will not only enjoy the listening experience but also the ability to absorb meaningful concepts in a way that will allow you to drop the occasional mind-expanding fact into a conversation, leaving people to think you're the smartest person in the room.For those of us not gifted with the kind of brain that can dissect the workings of an impossibly complex universe, this book weaves information in such an interesting and entertaining way that you actually begin to feel that a conceptual understanding of astrophysics is actually possible. Neil's narration. 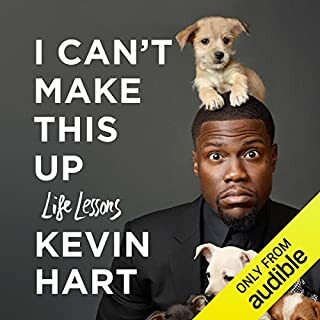 If you love 'Star Talk', you will love this audiobook. 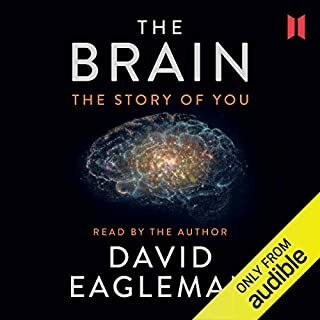 I listened to this book while doing my regular run and at times I had to stop and absorb the enormity of what had just been explained. Other times I laughed out loud. Not sure what passers-by thought but I don't care! 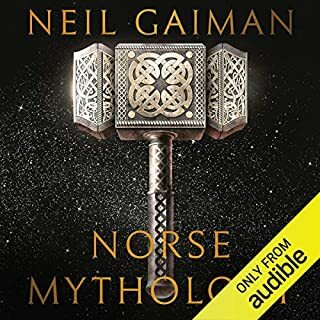 I would recommend this audio book to anyone from teenagers on and interestingly for an avid reader, I would opt for the audiobook over the print version, just for the pleasure of hearing Neil deGrasse Tyson narrate it. For someone who has a rather basic understanding of the sciences and astrophysics, I at times found this book challenging. 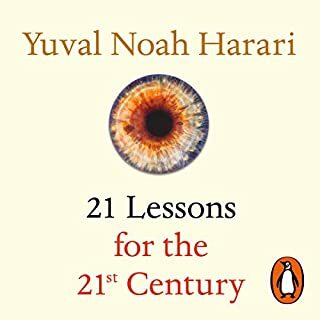 With concepts and vocabulary I had to search quite often, it took me a little while longer to listen to the average fiction book I indulge in. Regardless, I was driven to continue and often played back parts to fully grasp the information. 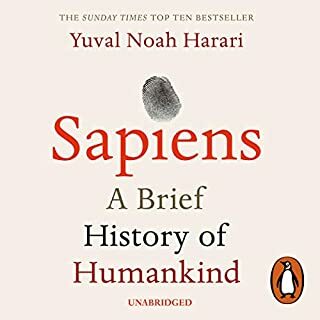 A fantastic book and worth the perservance for one often intimidated by titles based in science. His voice is engaging and his passion is contagious. 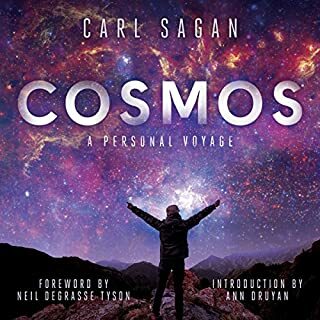 I listened to the audio edition of this read by deGrasse Tyson himself - his style immediately makes it more interesting, even if it doesn't make the content more understandable. 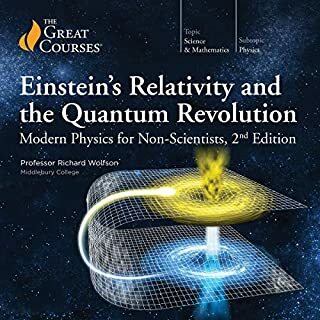 This book is an excellent taster into molecules, space, gravitational waves, forces and all sorts of other mind-bending physics concepts. deGrasse Tyson keeps the reader engaged with interesting tidbits of information that are more digestible in each part so one never feels like they are being left too far behind. After a while the facts and figures started to blur and I found myself confused, listening to deGrasse Tyson and catching pieces of the story intermittently. This is more of a reflection of my lack of concentration and general stupidness than any mis-pitching from deGrasse Tyson. This is an excellent way to dip your toe into the zoomed-out universe that's all around us, and helps to give context and some answers to the royal 'why'. I loved it! Basic Astrophysics. Delivered by the soothing tones of Doctor Tyson. Plainly written for the everyday person but still filled with concepts that peak the intellect. If humanity had a cosmic perspective there would be no borders to countries as astronauts point out and we would be driven not by money and power but the drive to explore strange, new worlds; to seek out new life and new civilizations; to boldly go where no human has gone before. This is a fantastic, interesting listen for novices and experts alike. 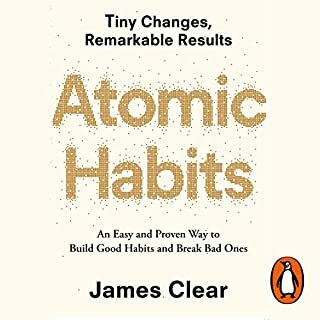 Loved this book, though I'll have to revisit it a few times to get the full benefit/understand everything, but thats my fault for being a dumbass. Best book ever Best book ever Best book ever Best book ever Best Best book ever Best book ever Best book ever Best i loved it lots. Every night. I'm always so captivated when Neil speaks. A fantastic way to learn all about the cosmos and gain or perhaps stimulate your cosmic perspective.